When Vincent Cohen arrived at Dechert as a trial lawyer and investigator in January 2016, it seemed natural that the former U.S. Attorney for the District of Columbia should lead the firm’s Black Lawyers Alliance and be appointed to the Diversity & Inclusion Committee. After all, Cohen’s commitment to diversity has been lifelong. Born in Washington, D.C. to one of the city’s first African-American attorneys to make partner at a major law firm, Cohen graduated from Syracuse University College of Law, clerking for the Honorable Cheryl Long, Chief Judge of the tax and probate division at the District of Columbia Superior Court. He was hired by then-U.S. Attorney Eric Holder and served as an Assistant U.S. Attorney at the U.S. Attorney’s Office for the District of Columbia (Criminal and Civil Divisions) before turning to private practice. He subsequently returned to the U.S. Attorney’s Office, where he rose to become Acting U.S. Attorney for the District of Columbia, a role that put him in charge of more than 350 prosecutors. As Acting U.S. Attorney and a member of the Attorney General’s Advisory Committee under Attorney General Loretta Lynch, Cohen oversaw some of the nation’s most significant prosecutions involving national security, financial fraud, public corruption and cyber-crime. On federal issues, his remit touched the entire country, yet his responsibilities also embraced local D.C. difficulties. The two arenas overlapped in efforts to reduce violent crime in the U.S. capital by tackling its root causes while also preserving resources for prosecuting serious offenders. Cohen created other ways, too, to build stronger bonds with the people he served. His office embraced a comprehensive community prosecution program focusing on education, intervention and prevention that became a national model for U.S. Attorneys’ Offices. He also helped establish the first Clergy Ambassador Program which sought to nurture greater trust between the community and law enforcement. The community-based approach Cohen championed in public office has remained a motivating force since his return to private practice. Cohen remains involved with 100 Black Men of America (which he once served as General Counsel). He is an elected Board Member of the Washington Bar Association, one of the country’s oldest African-American bar associations, and is active in other civic organizations such as the National Bar Association and the National Black Prosecutor’s Association. At Syracuse University, he sits on both the Chancellor’s Advisory Board and the Office of Multicultural Advancement Advisory Council. He was also recently invited to join the D.C. Attorney General’s Advisory Committee. At Dechert, Cohen represents clients in sensitive government and internal investigations, government enforcement matters, and complex civil and criminal litigation on a domestic and international scale. 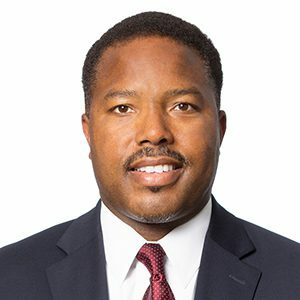 Recognized by Chambers USA as a leading D.C. lawyer for white collar crime and government investigations, he was singled out by Lawdragon in 2018 as one of the 500 Leading Lawyers in America, named by Savoy Magazine as one of its Most Influential Black Lawyers, and honored with a Diversity Leader Award by Profiles in Diversity Journal.